The last time we checked in with Venom Prison was in late January, to spread the news of the February 23rd Prosthetic Records re-release of their 2016 album, Animus, and the group’s music video for the song “Immanetize Eschaton”. That deluxe edition of Animus is now out with five live songs added to it as a bonus disc, and the group unveiled a live-shot video for one of those songs, “Devoid“, right around that time. The relentless and abrasive madness of “Devoid” remains perfectly intact in its live form, keeping its “start at one thousand from moment zero” approach for the opening segment before it slows down only briefly to give the band a little room to breathe and figure out new ways to come screaming back. We reviewed Animus back around its initial release as part of a “Best Of British” feature, and writer Andy Synn highlighted “Devoid” specifically as one of the “twisted, techy numbers” and noted the appeal it should have to the Dying Fetus/Cryptopsy fans among us. Given the whirlwind, neck-snapping nature of “Devoid”, you can easily see the comparison to some of Cryptopsy’s own neck-snapping earlier work. The live video for “Devoid” makes for a fun watch and only increases the excitement for when I might get the chance to see the group live. 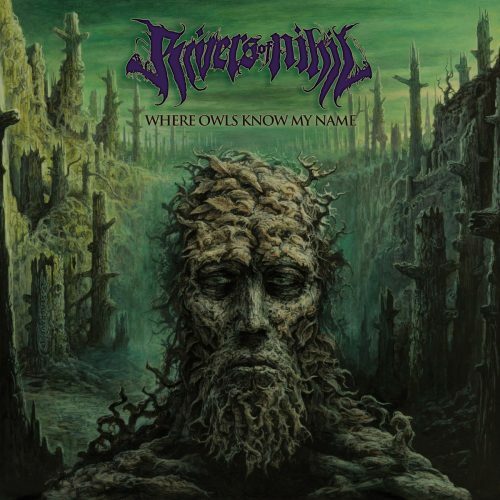 Here’s one thing that immediately took me aback with Invisible Oranges’ premiere of the new Rivers Of Nihil song, “A Home“, from the group’s mid-March release via Metal Blade, Where Owls Know My Name: The opening of the song goes for a melodic-rock guitar riff. In fact, a pretty good chunk of “A Home” has Rivers Of Nihil delivering a vast swath of melodic guitar lines (and even some light clean singing) to go alongside the hammering and ferocious death metal in which the band normally ply their trade. That opening bit is so brief, but it makes a massive first impression as the band hurl headlong into an audio hurricane, the song’s opening minute stuffed-to-bursting with layers of sound before things slow down briefly, putting Rivers Of Nihil in a similar noise-hurricane realm that Fallujah like to camp in. Going by the two songs out so far — The Silent Life being the other — Rivers Of Nihil are throwing caution to the wind and giving Where Owls Know My Name everything they’ve got. Both songs cover tremendous ground, whiplashing from the group’s trademark massive headbanging segments to blast-fests that are bound to fill the gullet of anyone looking for that, to this recently amplified melodic side. “A Home” is a journey to undertake, especially to see where the Rivers Of Nihil headspace is currently. If you want a further look at how the song runs with some of the noise peeled back, GuitarWorld uploaded a playthrough of the song as well, so you can really zoom in at the ground this band is covering. The prog-tinged post-black metal crew of Oakland, California’s Wild Hunt are returning to us in recorded form, three years after the release of the group’s EP Scroll and Urn (which we reviewed here). 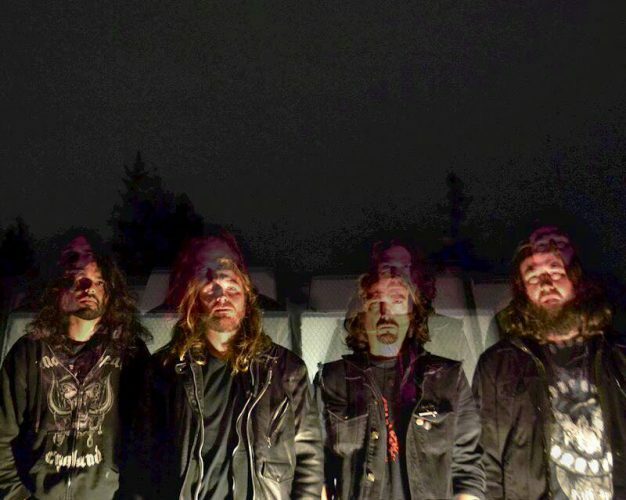 DECIBEL magazine premiered that return with the title track from the group’s Afterdream Of The Reveller and a recently unveiled April 20th release date, a disc that is already ranking pretty high on the anticipated last for at least one of us. “Afterdream…” is a gargantuan song, with the band awash in sound and buried in a massive pile of guitar, swept away in the group’s blasting melodies while the vocals attempt to tear their way through every gap they can find, just to be heard. The echoing effect throughout the song gives “Afterdream” its hinted-at dreamlike state, providing each movement of the song its own labored and hazy quality, which seems to organically fade in and out as Wild Hunt propel themselves forward. Afterdream Of The Reveller sounds like the perfect return for the band, who are emerging after a period of (understandable) difficulty. Even though the song — as stated in the DECIBEL interview — focuses on death, it does so with a sense of justification and victoriousness; were you not aware of the emotional tie-in of the song’s concept you could probably pick it out from the echoing wall of guitars, as every sound is amplified into one loud and cathartic release. Vendetta Records have a very strong contender in their hands when Afterdream Of The Reveller comes out in April. 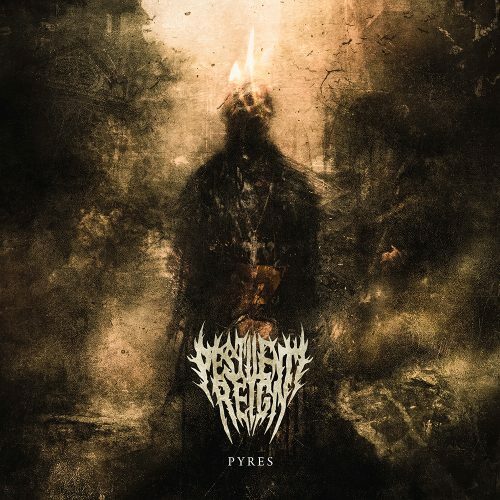 This may in fact be the first time that German death metallers Pestilent Reign have been written about in our disgusting humble abode, but it will certainly not be the last, as the group are gearing up for the March 16th release of their debut album Pyres — which contains a pretty healthy spread of material from the group’s previously released EPs, Shivering Chaos (2015) and The Zealot (2016). Recently, the band premiered Pyre’s closing track through Slam Worldwide (which has shown itself to be something of the band’s chosen venue to spread the word, having previously released their music video for Martyr through them as well). This one is appropriately titled “Gutter’s Filth“. “Gutter’s Filth” has a pretty solid through-line of grooving death metal, with the band showing off a light hybridizing of Pyscroptic’s more recent frenetic moments — especially around the halfway mark of the song – with Misery Index’s grinding riff changes. Both influences are pretty light in “Gutter’s Filth”, as Pestilent Reign hammer through its six minutes with an almost unceasing ferocity, but just the way certain mechanisms within the song shift triggers the recognization almost subconciously. Pestilent Reign come off as suitably mean in their album’s closer, spreading venom throughout and keeping the headbanging quotient high. Pyres is due out relatively soon, and consequently I should hopefully be hammering out something about it in the near future, especially if the two songs out so far are anything to go by. Pestilent Reign may have found something in the explosively high-speed blasters they have released so far. Wild Hunt is just monstrous…it keeps on playing and i keep hearing it anew every time. I might have to change my mind and say this is the AOTY!